by Megzus • on Life, Nature • January 31st• has no comments yet! There are thousands of species across our planet which are feared to be on the road to extinction.These species could belong to the four-legged travellers of the earth, the winged birds or the marine life. Whatever their habitat, the endangered species are either at risk due to human activities in that area or a change of climate in their habitat which could be due to global warming. Dinosaurs lived billions of years ago; and perhaps if they were not extinct, humans and other life forms of today would have found a way to live together on the planet Earth. But nature’s course made sure that this did not happen and now we try to relive that era, in animated science fictions. Soon many of the species that inhabit the earth today might go extinct and our next generation would forever wonder if they could see one of those animals alive today. Therefore we have put together a list of 10 most endangered species of animals . And as said earlier there are many many more, but some have already got the world’s attention, so now it’s time to highlight the less famous ones. Amongst our list of 10 most endangered species, the Ivory-billed woodpecker is believed to be the one that is most endangered; in fact they are so endangered, that they are believed to be even extinct by now. They were found in the Southeastern area of the US and sightings of this large woodpecker were also seen in Cuba. A rescue mission that started right away after this, has led to some rumors believing that there might be a small population living in Florida or Arkansas, but confirmed news has still not been received. The Amur Leopard that lived in the snowy and remote areas of Northern China and Korea were already few and rare. And now due to road building, over-logging, encroaching civilization, illegal hunting this beautiful species is also fearing extinction. In fact a recent survey revealed there are only 14 – 20 adults which have been confirmed to be living in a forest. If you thought that of all the rhinoceros species, the Black Rhino (a.k.a. Diceros Bicornis) was an endangered one, think again. Because according to a survey, it is estimated that only 40 – 60 of the Javan rhinos are left remaining in the Ujung Kulon National Park which is located on the western part of the an Island in Indonesia. Facing extinction because of its precious horn, this rare species came under protection however people still might not be able to save it because of scarce mating population. Madagascar is known for its population of lemurs; however if the illegal hunting and habitat loss continues in that region then it is quite possible that soon the critically endangered species of Lemur – the Greater Bamboo Lemur, will become history, with no live remains of it left. The Mako Shark, Blue fin Tuna and the Beluga Sturgeon are some of the members of marine life that are considered to be one of the endangered species. However here we are going to talk of the Northern Right Whale which got its name back in the 1970’s ironically by people who are making sure it goes extinct quickly – the fishermen. The Right Whale possess good quantities of oil which is why it is hunt down; moreover it floats atop when dead which makes it easy to handle. It is protected now but it is feared that extinction might not be prevented. This species of the lowland gorilla is found in West Africa; and it is believed that only a few hundred of these are left remaining. This atrocity is for no other reason than due to illegal hunting and that too for food. It has been included in the critically endangered ones as their population is facing a constant decrease for the last 25 years. Swimming across the seas and oceans of the whole world, the Leatherback Sea Turtle is the largest turtle which comes out on the sub-tropical beaches to lay its eggs. The fact that people keep on hunting for its eggs, or that fact that the beaches are destroyed is leading to the extinction of Leatherback Sea turtles. Pollution of the sea and ocean waters is also killing the turtles. The Amur Tiger like the Amur Leopard is believed to be near extinction. The Amur Tiger which was found in cold parts of China and Korea, reduced to a horrid number of 40 – 50 but has rebounded to a number of 500 because the Tiger has gone into protection by the wild life services. Even though its number has increased, it is still not out of danger. A unique thing about the Giant Salamander is that it is the world’s largest amphibian which can grow up to 6 feet in length. Although it had the advantage of laying almost 500 eggs in one go and that too which remained in protection of the male, it can still go extent. The sad news is that it is not going to be due to a loss in habitat but because it is largely hunt down for its meat. Yes, it is true, it is abundantly eaten in most parts of China. 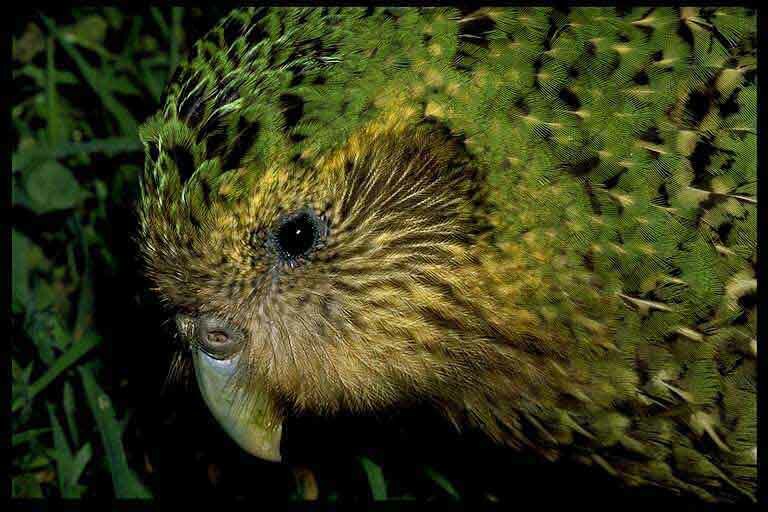 Last and certainly a species left in the least amount of number is the Kakapo parrot. It is the only parrot that remains flightless throughout its life and is also the heaviest amongst all the parrots. Once common throughout the mainland of New Zealand, this endangered species is led to its present state due to the hunt down by rats, cats and dogs. It is now only found living in some islands and less than 150 are left.